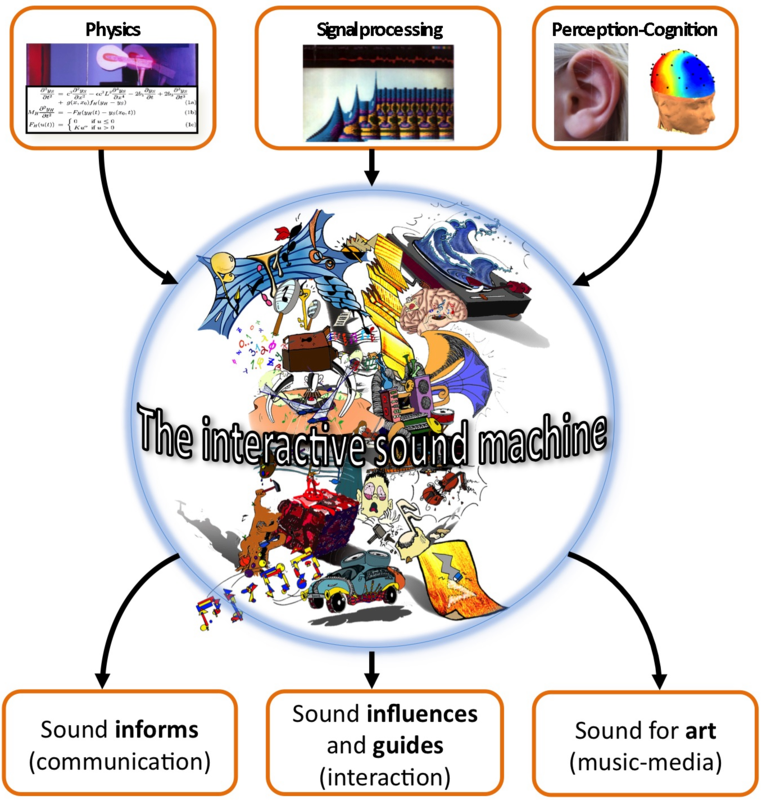 This website presents the research activities of the Axe 1 group in the Laboratoire PRISM “Perception, Representations, Image, Sound, Music” in Marseille, France. Our main goals consists in understanding the links between sound structures and human perception in order to develop interactive synthesis models that can be intuitively controlled and further be used to investigate perceptive and cognitive issues. Our activities rely on the interaction of 3 main research disciplines: physics, signal processing and perception-cognition, in order to address sound related questions linked to communication, interaction, music and media.